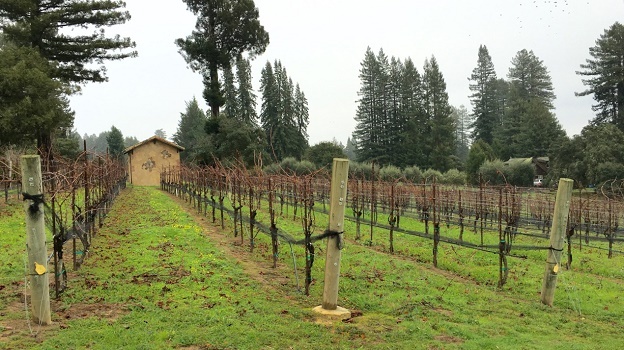 Pinot Noir is the star of the 2014 vintage in Sonoma and Anderson Valley. The wines are absolutely brilliant, with a highly appealing interplay of richness, energy and structure. An unusual set of events unfolded during the year, leading to a magical Pinot harvest. Two thousand fourteen will go down as one of the most intriguing vintages in recent memory. Temperatures during the winter were quite a bit higher than normal, while there was no rain to speak of. Soils warmed up early and as a result, budbreak was also very early. Growers were surprised to see the vines set a very generous crop in the third year of a drought cycle and following the abundant 2012 and 2013. Warm weather continued throughout the year in most spots. Towards the end of the season fog on the Sonoma Coast and lower lying areas in the Santa Cruz Mountains created disease pressure that required considerable sorting, which lowered yields, in some cases dramatically. Growers further off the coast reported fewer issues with fog and generally more benign conditions that led to a harvest that was several weeks ahead of schedule. I arrived in Sonoma in late September hoping to see at least a bit of harvest action, but by then, most, if not all, producers, were totally picked out. Pinot Noir – Two thousand fourteen has turned out to be a fabulous vintage for Pinot Noir. The wines are deep, intense and beautifully textured. Although the season got off to an early start, the length of the growth cycle was within normal parameters. Most growers reported yields that were slightly lower than 2013 (a bumper crop) and more or less inline with historical averages. Berry sizes were large in 2013, but in 2014 berries were much smaller, which resulted in high skin-to-juice ratios and dense, structured wines endowed with considerable depth and richness. Across the board, the quality of the 2014 Pinots is tremendous. This is the most consistent vintage for Pinot Noir since 2009 and one of the finest recent vintages for Pinot I can remember. There is no question 2014 is more exciting for Pinot than either 2013 or 2012, where yields were excessively high, and 2011 or 2010, both cooler vintages that posed significant challenges in the vineyards. Syrah – The 2014 Syrahs show terrific intensity, but in a more medium-bodied style that stands in stark contrast to the 2013s, a set of decidedly rich, powerful wines. In many ways, the 2014 Syrahs share many attributes with the 2014 Napa Valley Cabernets in terms of structure and weight. Syrah often spends more time in barrel than Pinot, so many of the 2014 Syrahs I tasted had not been bottled. Zinfandel – It is always challenging to make generalizations about Zinfandel because so many wines, including those from Sonoma’s heritage sites, are more accurately described as field blends that incorporate other grape varieties. Within that context, most 2014 Zinfandel-based wines come across as having lower alcohols and higher acidities than the 2013s. The 2014 Zinfandels are distinctly mid-weight wines with a Pinot-like sense of aromatics, structure and red-toned fruit. It will be interesting to see if the wines put on weight in bottle, or if they remain on the more delicate end of the spectrum. 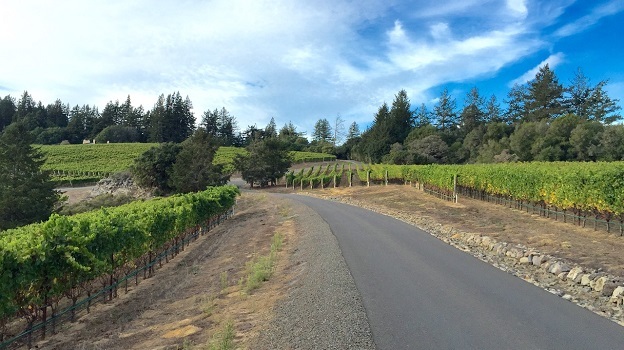 Chardonnay – Producers in Sonoma were rewarded with another strong vintage in 2014. At most properties, the 2014 Chardonnays are a bit less exciting than the 2013s, but not by much. In general, the 2014 Chardonnays are bright, focused wines with a touch less overtness and body than the 2013s. in many cases, differences between the 2014s and 2013s are rooted more in the styles of the respective vintages rather than in quality. Quite incredibly, 2015 continued a pattern of increasingly earlier vintages that started in 2013. Poor weather during flowering lowered potential yields dramatically. The growing season was characterized by starts and stops, but overall, 2015 was another warm year with an abnormally early harvest. Because of the low yields, the 2015s boast off the charts richness and intensity. The only vintage I have seen with such dramatic reductions in crop levels is 2012 in Burgundy. There, the concern was that the wines would over extract because there was not enough surface area of juice in the tanks to balance the skins and other solids during fermentation. 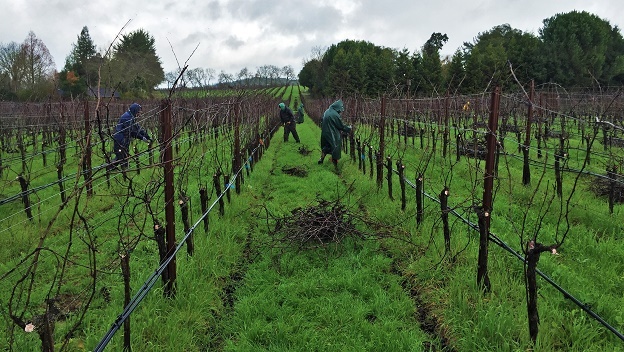 It will be interesting to see how Sonoma’s winemakers dealt with similar challenges. So far, the 2015 Pinots I have tasted exude Syrah-like color and off-the-charts levels of concentration. These will be fascinating wines to follow. I tasted most of the wines in this article during two weeks I spent in Sonoma in January of this year. What started out as a Sonoma article a few years ago has grown to include Anderson Valley and a host of other peripheral areas, so this year coverage is split into two sections, with Part 2 scheduled for next week. A handful of late arriving samples from both Sonoma and Napa Valley will be covered in our spring North Coast Supplement. As always, there are a handful of wineries that have typically appeared in this article that I was not able to taste for various reasons, mostly relating bottling times and other logistical considerations. These include Copain, Sandlands, Kosta Browne and Cirq. All of those wineries will be covered in our North Coast Supplement, scheduled for Spring 2016.